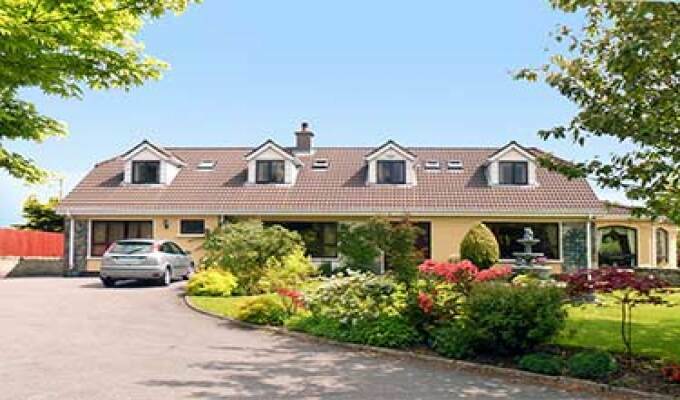 A bright and spacious family home set in a large picturesque garden located in Letterkenny town, The bedrooms are spacious, individually decorated and most of all warm and comfortable. After a good night's sleep guests will enjoy a traditional Irish or continental breakfast served in our spacious dining rooms overlooking the garden, before exploring Donegal's famed wild scenery. Quiet and not too far from town centre. Good bed and rich breakfast. Bathroom is small and a little bit old hand basin very small and wc not working properly.